There are a number of occasions on which a merchant can receive an autogenerated email. 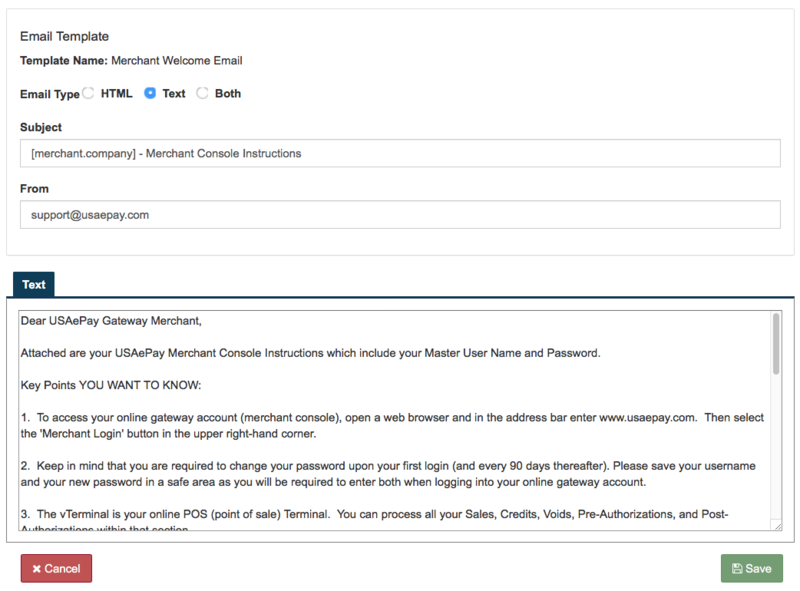 Several of these emails are premade: Merchant Welcome Email, Source Key Email and Console Instructions. Each of these emails can be customized to best suite your company's needs. Simply click on the "Customize" button to the right of the email template you would like to edit. 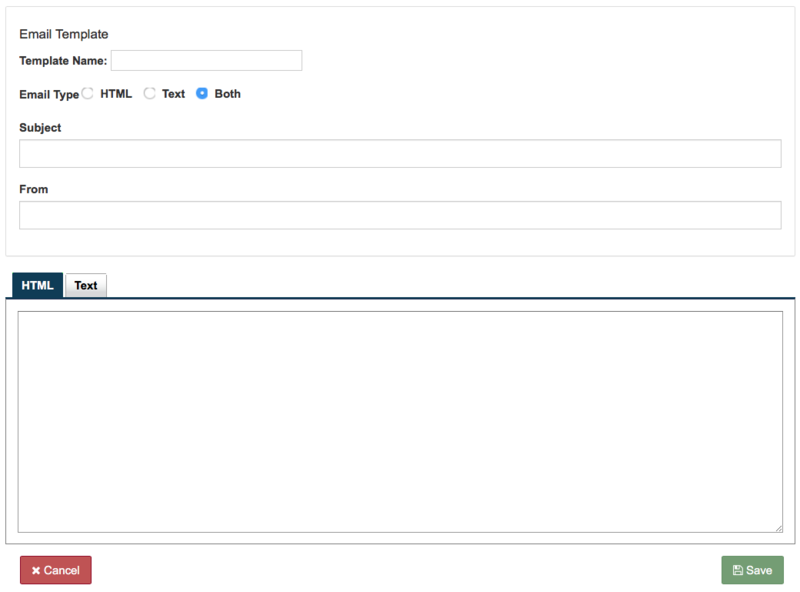 You can edit changes to the email templates in HTML or text.